WEDNESDAY, May 31, 2017 (HealthDay News) -- Today's U.S. opioid epidemic is rooted in a 1980 letter to a medical journal that played down the potential for painkiller addiction, a new report states. The 101-word letter, written by Boston University Medical Center researchers, asserted that "despite widespread use of narcotic drugs in hospitals, the development of addiction is rare in medical patients with no history of addiction." That single letter -- published in the prestigious New England Journal of Medicine -- went on to be cited in hundreds of later scholarly articles as supporting evidence that long-term use of narcotic painkillers rarely caused addiction, said Dr. David Juurlink. He is a scientist with Sunnybrook Health Sciences Center in Toronto, Ontario. "The surge in opioid prescribing we have seen over the last 20 years is due in no small measure to doctors being reassured about the safety of opioids," said Juurlink, senior author of the new report. Because of that message, prescriptions for painkillers like OxyContin (oxycodone) and Vicodin (hydrocodone) have nearly quadrupled in the United States since 1999, Juurlink said. More than 183,000 deaths from prescription painkillers were reported in the United States between 1999 and 2015. The original single-paragraph letter stated that in a review of 11,882 hospitalized patients treated with narcotics, the Boston researchers found "only four cases of reasonably well-documented addiction in patients who had no history of addiction." The letter went on to be "heavily and uncritically cited as evidence that addiction was rare," Juurlink and his colleagues found. Most of the citations glossed over the fact that the letter focused on narcotic painkillers taken in a hospital setting, where doctors could strictly oversee their use and watch for signs of addiction, said Samuel Ball, president and CEO of the National Center on Addiction and Substance Abuse. "The real opioid problem we have now has been created by free prescribing of opioids to outpatients," Ball said. "More than 80 percent of the subsequent articles did not mention the patients were in the hospital." A review of medical literature revealed 608 separate mentions of the letter, the new report states. Ball said, "As letters to the editor go, this one did get a lot more citations than a typical letter to the editor does." 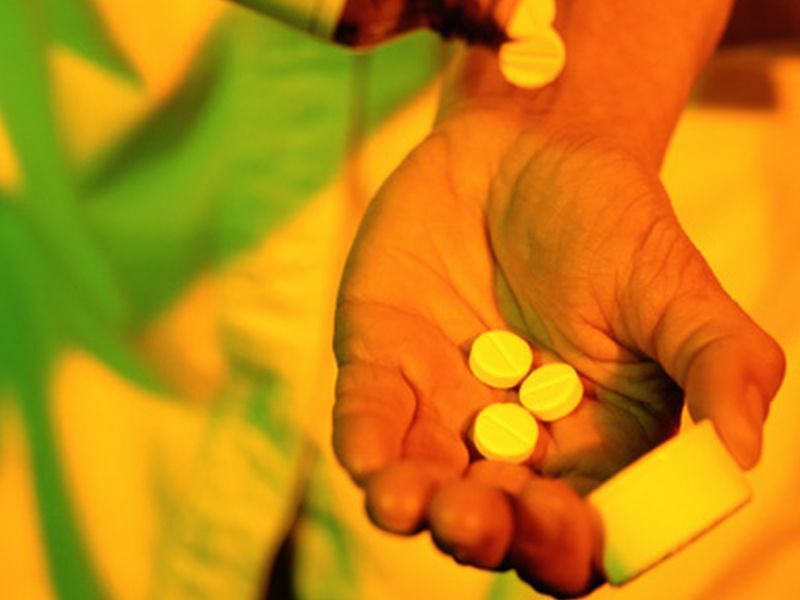 Nearly three out of four articles cited the letter as evidence that addiction rarely occurs in patients treated with narcotic painkillers, the new study reports. Juurlink said it's clear many researchers cited the article without actually going back and reading it. "Anyone who goes and pulls that original paper will see there's nothing much to it," Juurlink said. "There was a mass uncritical citation of this letter. This letter effectively spawned hundreds of publications telling doctors and nurses that addiction was rare. When you hear something that frequently, you come to believe it's true." According to Ball, the letter was heavily pointed to as proof of opioids' safety throughout the 1990s and much of the 2000s, concurrent with the rise of the opioid epidemic. In particular, the new report pointed out, there was a "sizable increase [in citations] after the introduction of OxyContin in 1995." Juurlink believes the citations were made by well-meaning researchers and pain specialists who wanted to relieve suffering, but also were promoted by "companies with money to make if only they can get doctors to prescribe their pills." "It's clear that the pharmaceutical industry capitalized on poorly substantiated research and conclusions regarding risks of addiction to sell a campaign of influence to physicians and other health care providers," said Dr. Robert Glatter. He is an emergency physician with Lenox Hill Hospital in New York City. The manufacturer of OxyContin, Purdue Pharma, and three senior executives pleaded guilty in 2007 to federal criminal charges that they misled regulators, doctors and patients about the addiction risk of their product, the researchers behind the new review said in background notes. In response to the new article, Stamford, Conn.-based Purdue Pharma released a statement noting it has "accepted responsibility for the actions some of its employees took prior to 2002. "Since that time we have led the industry in developing abuse-deterrent technology, advocating for the use of prescription-drug monitoring programs and supporting access to naloxone -- all important components for combating the opioid crisis," the statement reads. Naloxone (brand name Narcan) is used to treat narcotic overdoses. Dr. Harshal Kirane is director of addiction services at Staten Island University Hospital in New York City. He said the Boston University letter's impact has been noted before. "The fact that it was influential in the opioid epidemic, that's a known fact," Kirane said. "This new article simply reviewed the citation trail in a more systematic way." The new report is published in the June 1 issue of the New England Journal of Medicine.